Fiber optic transmission systems use datalinks that consists of a transmitter on one end of a fiber and a receiver on the other end. Most systems operate by transmitting in one direction on one fiber and in the reverse direction on another fiber for full duplex operation. A FTTH passive optical network (PON) is one of the few systems using bidirectional transmission over a single fiber because its network architecture is based around couplers already. Datalinks can be analog or digital, depending on the information being transmitted. 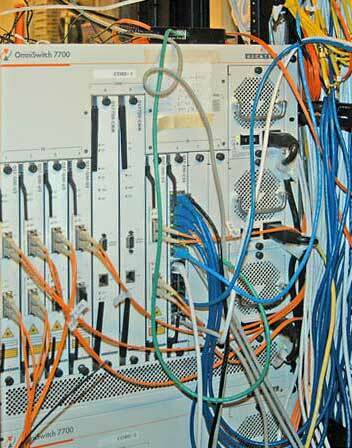 In this lesson you will learn how fiber optic systems transmit data.